Aeron DeForest had a childhood void of love. 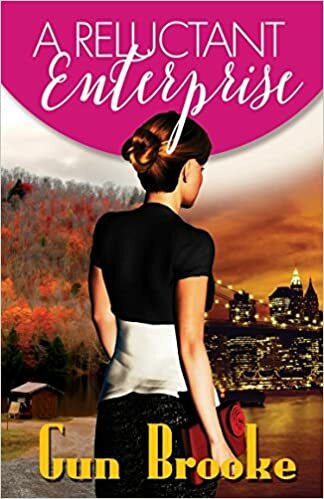 Her mother a rich Manhattan heiress Maeve DeForest spent more time partying and chasing men, than she ever spent with her daughter. Aeron was sent off to boarding school and was basically raised by her mother’s housekeeper and then the school administrator. Now as an adult Aeron has become a reclusive but successful horror novelist. One phone call uproots her comfortable life that she has spent years protecting. Her mother is dead, and her will must be tended to. Sylvie Thorn is a Swedish business mogul that resides in in New York. Her childhood was equally as horrible. Her father’s commands must be followed at all times. Her dyslexia has always made him think less of her and she has been subjected to years of ridicule at her father’s hand. Sylvie escaped to the States to be out from under his constant control. By doing so she became Maeve DeForest’s business partner, starting up a chain of high-end boutique spas. Sylvie had come to respect Maeve, and for all her faults as a mother she was a great friend to Sylvie. Now her company is in the hands of Sylvie’s only child Aeron. These two must find a way to work together. While both Sylvie and Aeron grew up with the proverbial silver spoon in their mouths, they both endured harshness by parents who lacked the emotional capacity to give unconditional love. Their childhoods would be a feast for a team of psychologists. In terms of the book, this angst took up the most of story. While interesting, it left very little in the way of romance. These ladies gravitate towards each other with the understanding of the how badly the past has hurt them, and that becomes the foundation of their relationship. I had trouble with grasping the love story. It just didn’t come off that natural to me. At one point these two have a breakup and quite honestly one of the characters was so harsh I am surprised the other even gave her the time of day after that. So all in all the book is good, it’s just too angst filled in the non-romance kind of way.